Thoughts on Bladework? Come learn all about it on the Renegade Rowing Team! We will be retesting our 500m in three weeks to see if we’re progressing and pushing ourselves. Today’s focus is executing all 8 pieces at high intensity with negative splits. Set the monitor for intervals distance with 250m of Work and 1 minute of Rest. Row every piece with your 500m retest in mind. Get off to a good start and settle on the first one. Stay consistent from pieces 2 − 4. Fight for that split on pieces 5-6. Bring it home on 7-8 with a split at or below your 500m goal. Take a look at your previous results for this Rowing WOD and the last 250m piece from yesterdays workout to find a good starting split. 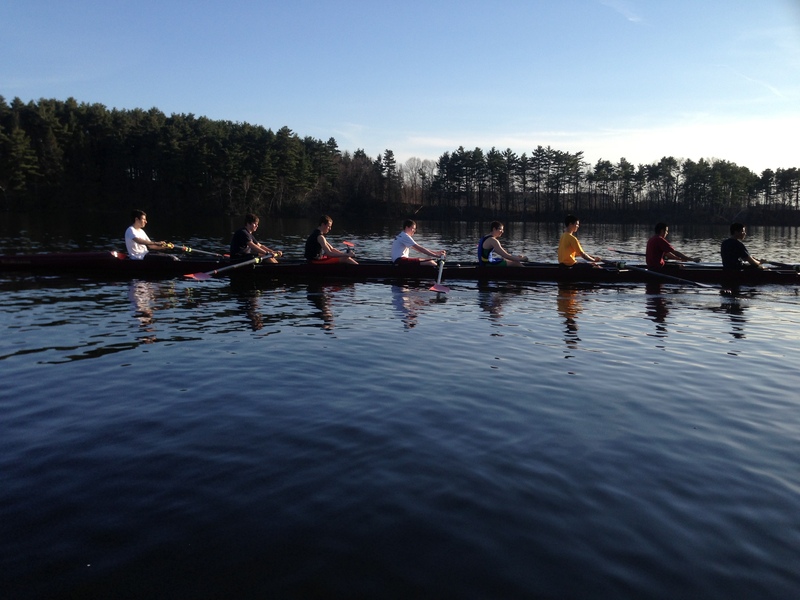 Also, we have one more week until Tryouts for the Renegade Rowing Team. I hope everyone’s getting excited to get on the water! We’re still looking for at least 3-4 people to sign up and join us. This is your opportunity to get out on the Charles River, learn to row, and race! Practices will be on Tuesday and Wednesday nights from 6:30-8pm at Community Rowing. Come participate in the Throwdown at CrossFit Boston next Friday night at 6:30pm to learn more, meet the team, and kick off the program! Post your Splits to comments. This entry was posted in Rowing and tagged endurance sports, functional movements, mental toughness, new sport, rowing, sports, training by Renegade Rowing. Bookmark the permalink.